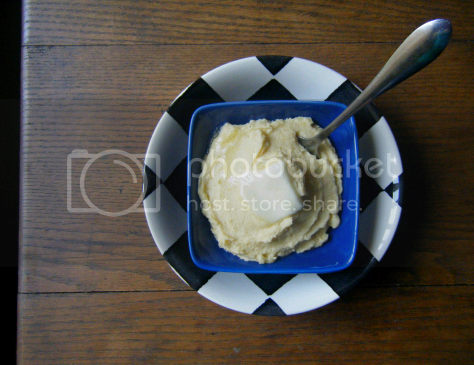 Yes, when life gives you rutabagas, make guilt-free low-carb mashed potatoes! How does this magical transformation take place, you might ask? A little buttah and cream cheese can fix anything, y’all. This is a popular recipe with quite a few variations out there, but I like the richness that cream cheese imparts. Rutabaga is easier than cauliflower to work with, and the color and mouthfeel of it is more potato-ey. To address the obvious question: What do I have against potatoes? Their awfully high glycemic load, for one thing. 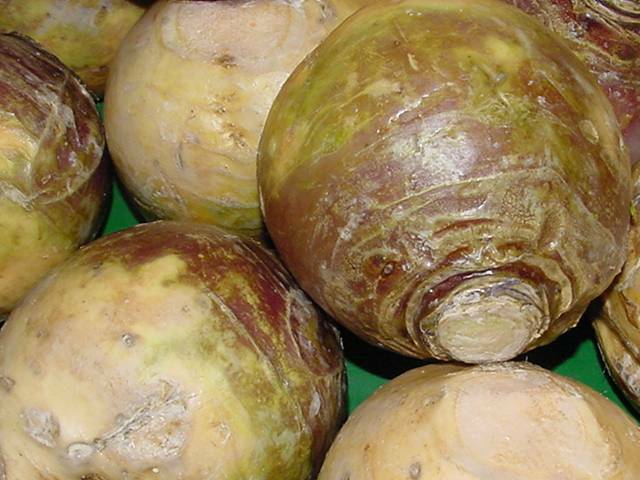 Additionally, the phytonutrients found in cruciferous vegetables like the rutabaga have been shown to fight cancer. Besides, it’s a fun word to say when your roommate asks what you’re doing with that big waxy lump on the counter. Roo-tah-bag-ah! Microwave rutabaga chunks, covered, with water and a boullion cube for 12 minutes on high. Test for doneness with a fork. Strain and squeeze out all the water you can with a dish towel (very important)! Roast the garlic quick n’ dirty in the microwave by peeling off the skin, pricking the clove, and microwaving for 30-40 seconds, or until soft. 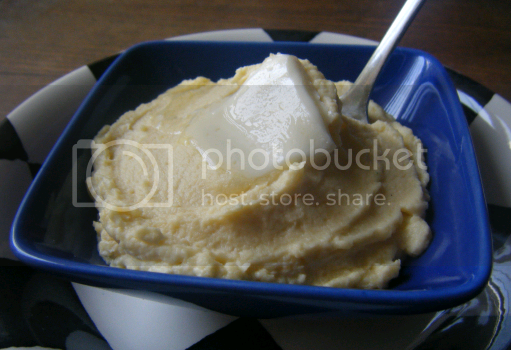 Heat butter and cream cheese in microwave until butter is melted. Stir together. Add garlic and butter mixture to rutabaga and dump it all into a blender. Puree. This may require violent shaking if you are using a magic bullet like I have. Get the mixture as smooth as possible to eliminate all traces of rutabaga-ey orange chunkiness. Reheat for 30 seconds to keep it piping hot if you need to. It helps the blending process. Stir in parmesan cheese. Taste and add sea salt if necessary. Serve topped with more butter, chives, bacon bits… fortunately, potato toppers are usually low carb!